The Empty Stadium: How sad is this? 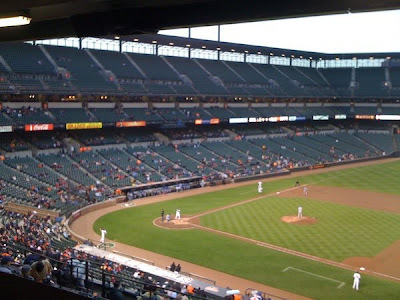 In the most picturesque stadium in all of baseball, just under 9,300 fans managed to show up to watch MLB's two lamest teams duke it out on a Monday night. The Kansas City Royals won 4-3, but the telling story of the game is this shot from Jen Royle of MASN.